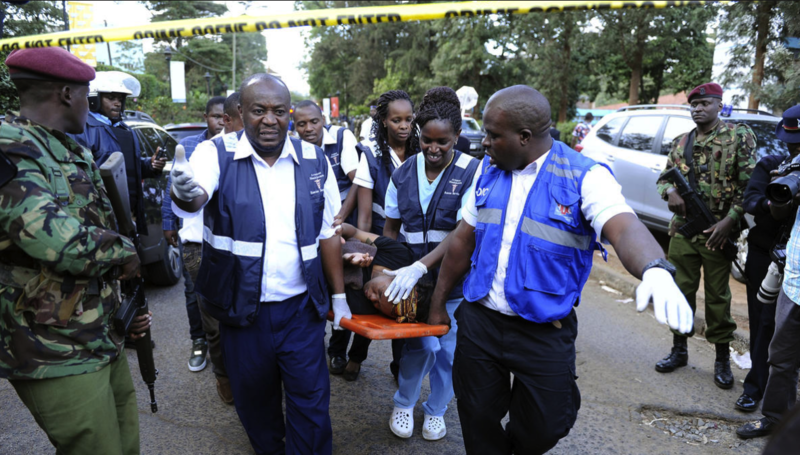 The death toll from a militant attack on a popular Kenyan hotel complex rose to 21 on Wednesday. It includes at least one American, a former Peace Corps member, authorities said. 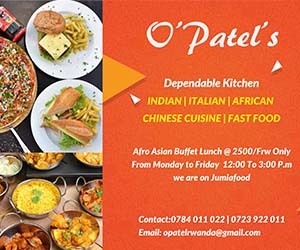 Dozens of people remained missing a day after armed men invaded the DusitD2 hotel complex in Nairobi, which includes bars, restaurants, offices and banks, according to the Kenya Red Cross Society said in a statement Wednesday. Tuesday’s attack started with car bombs. An earlier estimate had put the death toll at 15. Kenyan President Uhuru Kenyatta vowed authorities would “pursue relentlessly” those involved in the funding, planning and execution of the attack. Sporadic gunfire could be heard from the scene in the morning after scores of people were rescued at daybreak as police continued what they called a mopping-up exercise. The Red Cross reported that at least 30 people were treated for injuries in hospitals and other health facilities. Al-Shabab — the Somalia-based Islamic extremist group that is allied to al Qaeda — claimed responsibility for the carnage in a statement. However, that claim had not been verified by authorities. The State Department confirmed to NBC News that a U.S. citizen was among the dead. “We all miss him so much. And it’s so sad that such a bright young person is taken away by terrorism,” Sarah Spindler added. Spindler joined the Peace Corps after the Sept. 11 terror attacks and was a graduate of NYU Law and the University of Texas at Austin, and he was the recipient of grants from the Bill and Melinda Gates Foundation and the Clinton Foundation, his mother said. The U.K.’s Foreign Office confirmed Wednesday that a British-South African national was also among the dead. A 2013 attack carried out by Al-Shabab at the nearby Westgate Mall in Nairobi that killed 67 people.